Do you feel that you must choose between paying employees and making money? Do you ever feel like there has to be a better way? Where employees can be valued, compensated fairly and the organization make money too? Do you know how to do that? Let us help you! People Profits rejects the zero sum game which suggests that we have to fight over a limited amount of resources. 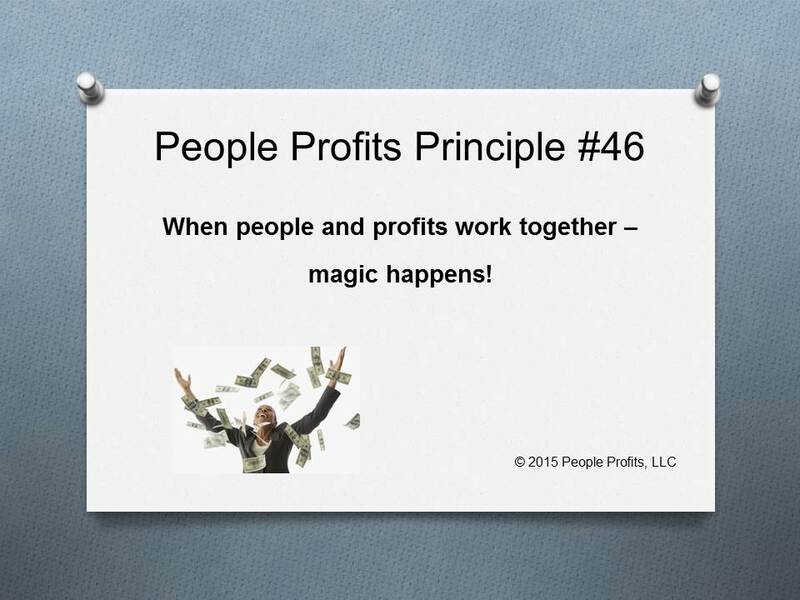 People Profits believes that if done correctly - there will be a growing amount of resources and everyone benefits from that growth. All stakeholders can benefit from the success of an organization. Our experience is when the employees benefit - they will respond positively and provide other opportunities for the organization to grow.